My husband had gone to a client meeting, my son had just left to meet friends when I decided to have a break and make a drink. Back in my study, I put my coffee on my desk and it was then I realised, somebody had been into my room. Fear prickled at the back of my neck. On my keyboard, was a Biscoff. ‘Hello?’ I called into the silence which now felt heavy and oppressive. Grabbing my phone, I called my son. ‘A warning or a biscuit?’ He asked. ‘You’ve got an overactive imagination,’ he said. It’s something I’ve heard throughout my life, usually accompanied by an eye roll and a sigh. My school reports often started with ‘Louise is such a daydreamer.’ I am but now, rather than seeing it as a flaw, as I’ve always been led to believe, I look upon it as something positive. Although gazing out of the window and making up characters in my head may be a problem in many jobs, without my over active imagination I wouldn’t be living out my life-long dream of being an author. Inside a small hole on the top of the bomb there was a tightly rolled piece of paper. ‘What do you think it says?’ he asked excitedly. The disappointment when we read it said ‘thanks’ was immense. ‘You never know,’ I said, darkly. Last weekend, we took our dog for a country walk and my son pointed out the perfect place to hide a body. I didn’t roll my eyes and sigh, tell him he’s got an overactive imagination as though it’s a bad thing. Instead, I encouraged him to explore the idea, write it down. If all potential story-tellers were made to feel having a vivid imagination is a bad thing there wouldn’t be as many books and that would be a very sad world indeed. While I was going through some papers I found a report you’d written on my first novel and as I read it I felt incredibly sad. You probably won’t remember it, or me, but in 2015 you almost crushed my dreams. I’d longed to be a writer much of my life but, always lacking in confidence, being published seemed unachievable. I didn’t have a degree, any A Levels. I didn’t have the courage to sign up for a writing course. In my 30’s an accident left me with a disability and my life radically changed. I then spent several years struggling with chronic pain, and my mood until I started writing a story, then entitled ‘Dear Grace’ about best friends, Grace, and Charlie. For the first time in a long time, I felt I had something to get up for. A purpose. Often I was awake throughout the night, lonely and uncomfortable but now I had my manuscript – a world I could escape to and I escaped often. I felt a feeling of immense pride when I finished my first draft but then came a bereavement, one of the people I loved most in the world suddenly gone. My depression came crashing back and I didn’t write for a long, long time. In 2015 I reread my story and a tiny ember of hope began to smoulder. I thought it had potential but I was plagued with self-doubt. It took much courage, several glasses of wine and all of our savings to send my manuscript off to a well-known organisation who offered critiques. When I heard you would be reading my story – someone who reviewed books for a living – I felt delighted. Until I received your feedback. Your report started by saying Writing fiction is a long hard slog for anyone and the chances of getting published are very slim. Immediately I felt deflated, stupid for ever thinking I could achieve my dream. Assuming that for you to have told me it was unlikely I’d ever get published when I hadn’t asked for your advice nor was it something the agency listed as including in the report, must mean my writing was bad. After your feedback on my story which you weren’t keen on, you ended your letter with ‘you show some flair but I think, bluntly, you need to face up to how difficult it is to get published. You may want to consider self-publishing. Traditional book deals from publishers are increasingly hard to come by. I’m sorry not to be more encouraging and I wish you the best. Tears rolled down my face as I packed away my manuscript and my dreams for another six months as I spiralled back into depression. I am writing this to let you know that dreams are fragile and hope easily extinguished. I googled you before I began writing this post and you still critique for the same agency. Please, please think twice before telling someone how impossible it is to be published if they haven’t asked you for publishing advice. You just might make them feel they aren’t good enough to write. Not everyone has an endgame of seeing their words in print and if they do not everyone is chasing a traditional deal. You never know what led them to the story they want to tell and what it means to them. I overcame depression largely because of my characters and it was something I enjoyed. You made me think I was wasting my time. That I shouldn’t. I couldn’t. ‘Dear Grace’ became ‘The Sister’ and it went on to spend several weeks at No.1 in various countries, quickly sold well over half a million copies, has been translated into 25 languages and nominated for an award. Three other novels have followed, all with huge success. My fifth is due to be published this October. Publishing is so subjective and although you thought I couldn’t, I’m so pleased I found a publisher who thought I could. And for any writers reading this, don’t let anyone lead you to believe that you can’t and if they do, prove them wrong. He phones home to tell Roxy he’ll be working late but she doesn’t believe him. He’s been secretive lately. Distant. The proposal she desperately hints for never comes. She waits outside his office, praying he won’t spill out at 6, but he does. Her anger burns as she follows his car to a nondescript house. Her heart cracks as a dirty blonde opens the door. As she creeps to the window and sees him unbuttoning his shirt, taking it off, her tears fall. She turns away before she sees the woman pick up her needle. Tattoo ‘Marry Me Roxy’ on his back. It’s been weeks since I last took part in Friday Fictioneers, I’m so focused on my wip right now – but I saw this photo which immediately reminded me of my favourite film, E.T. and knew I had to write a story about somebody phoning home. 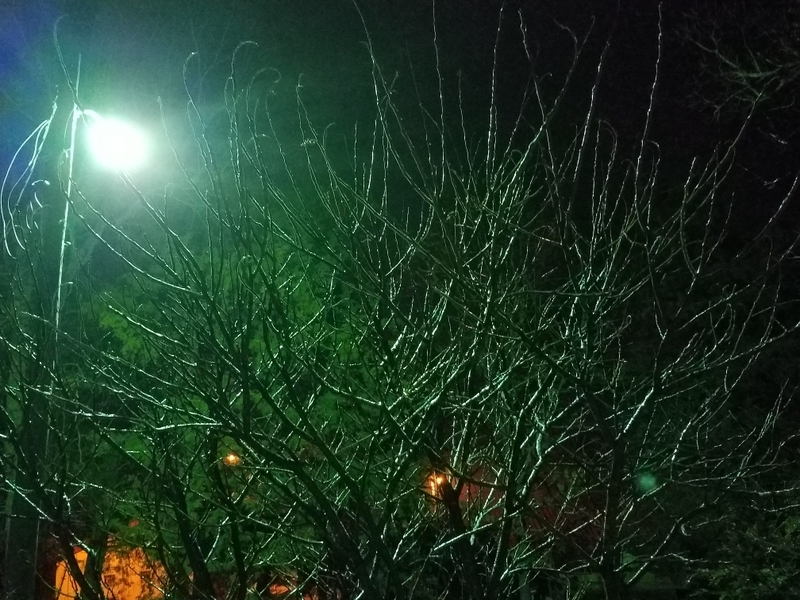 Friday Fictioneers is a weekly 100-word flash fiction challenge inspired by a photo prompt. You can read the other entries, or join in at host Rochelle’s blog here. 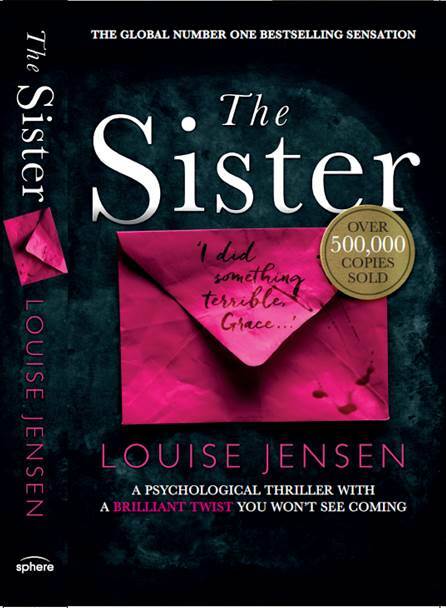 If you’re UK based The Sister is currently part of Amazon’s April deals. The kindle is just £0.99 & the paperback just £2. You can find it here. What’s a writing mentor & why would you need one? When I began writing my debut, The Sister, I was lucky enough to secure a place on the fabulous WoMentoring scheme which pairs fledgling female writers with experienced mentors. My experience working through my first few chapters with the super kind, and endlessly patient Louise Walters was hugely beneficial and I blogged about that here and here. Now, with four novels under my belt I’m paying it forward by mentoring through the scheme. Although I’ve been drawing on my own experience as a mentee I wanted to make sure I was offering my mentees the right help and support, and so I signed up for a ‘Learn to Mentor’ course with Cathy Grindrod via the amazing Writing East Midlands. I got a huge amount out of the course, both personally and professionally, and am delighted Cathy is joining me today for a chat about mentoring. Cathy, when I first applied for a mentor via The WoMentoring Project, I wasn’t really sure what one was or what to expect. How would you explain it? A Mentor is someone who is skilled in and has good experience of whatever area the mentee needs help with. There are a few definitions, but in essence, it’s guiding someone to achieve their own goals and to overcome whatever obstacles they feel are in their way. And everyone must have different obstacles? Exactly. It’s a different process for each mentee, because each person has unique needs and ways of working. Mentoring usually has a specific focus – in my case, writer progress, but progress in the context of the writer’s wider life balance, rather than centred just on the work on the page. My initial hope was that Louise Walters would help me write my book! That said she was very hands on with editing. I learned a lot from her feedback. Do you feel editing is part of mentoring? To my mind, editing suggests that the relationship is about the mentor helping the writer to restructure a piece of work and focuses on the words on the page. Mentoring can include an element of helping a writer to shape work and discussing their concerns. It can also include feedback on specific pieces of work if required, but is only a part of the process, if involved at all. If a writer wants my opinion on a piece of work, we discuss more about what is actually needed from me and my goal is to move the writer towards having confidence in their OWN editing process, so that they can become a better writer and editor of their own work. And that makes a better writer? Exactly. A mentee learns far more about writing in this way, than someone imposing a structure on their work without looking at what the writer is really seeking from the process. Do people also get confused between mentoring and manuscript assessments? They can but at the start of their sessions we set up a joint contract so we’re both clear about what they expect from the process. This can include looking at work if the writer wants it, but this will become a much wider discussion than a simple assessment (as I would give in a writer surgery, for example) and will be short pieces of work I read in between sessions, rather than, for example, a whole manuscript assessment, which for me, is a different process from mentoring. My heart sunk during the course when you said those dreaded two words – ‘role play’ but being the mentee and talking through my frustrations with writing led me to completely overhaul the way I work. I’m more focused and productive and am much better at time management than I was. Before this, I’d have thought mentoring was better suited to new writers but this isn’t the case, is it? No. It’s common to be approached by people who have been writing for some time, often attending writing groups and workshops/courses, before they seek mentoring. This means they know the territory, something of how the writing world works, and are at a point where they want to progress further but don’t know how or don’t feel they are able to without help. This isn’t always the case, though. Do you think mentoring works better when the mentee has some experience? I think it works best when a writer has a good grasp of the basics of writing technique and understands that writing is a continuing apprenticeship and has a realistic view of where they might pitch themselves and what success constitutes for them (success as a writer is a different concept for every writer, and does not always involve wanting publication. However, I have recently mentored people who are much more at the beginning of their journey, in one case simply wanting to find a way to edit work better and to enjoy editing rather than always dreading it. I have also mentored people who are writing in isolation, where signposting and supporting as they join others to write and gain feedback becomes a large part of the mentoring process. Often mentoring works best when people reach a point of change or ‘stuckness’ and want to move forward but need guidance to do so. I think rather than being at a ‘stage of your writing life’ when you can most benefit from mentoring you need to be at a ‘stage in your thinking’ where you have formed a good idea of what you want to achieve as a writer and what your goals might be before you start the mentoring relationship. That’s great. So if someone has decided to look for a monitor, what questions should they ask? Beyond the obvious – charges, length of sessions, process etc – you will need to know something about the mentor in terms of their writing, their experience and their approach. You should check that their idea of ‘mentoring’ is the kind of mentoring you want – particularly that it is goal oriented and not completely focused on your work on the page. Finding the right mentor is crucial to your development – do meet first. Often mentors are able to offer a ‘getting to know you’ free initial meeting. Your instincts often tell you what is right for you. I would always be happy to be asked by a potential mentee ‘tell me about what you do and about your writing’. Once you’ve found the right mentor, how is it structured? I can’t speak for everyone but mentoring normally takes place over a period of months, typically a six session package over 6-12 months with a free initial chat about what is required, to gain background and an idea of how you might work together. I largely prefer to offer one to one sessions in person of up to 2 ½ hours each time, but other mentors also work by skype and telephone. I mentor because I’ve been a mentee and it changed my life, giving me the tools and confidence to write a publishable book . Why do you mentor and have you ever been a mentee? I was offered a series of sessions with a mentor as part of my early career as a Literature Development Officer. I was also a writer. It was about life balance and achieving my own goals as well as helping others and how to approach this. It was the single most useful intervention I have ever received – specific to me, delivered by a person who knew the territory well, and made me focus on myself and my own needs, sometimes challenging me to look further, and causing me to change the way I thought about myself and my writing. When Mentor Training was offered by National Association of Writers in Education, I jumped at the chance to learn more about mentoring others, as I believed in it so totally as a process. I can tell by the way you taught our course so passionately, how much you enjoy it. I do! Mentoring work suits me because I have always enjoyed meeting and working with different people and working alongside a mentee for a sustained period of time is always a privilege. The worlds of writing and emotional health are the worlds I am most interested in, and although I am in the guiding role as a mentor, I also learn a lot from the people I am mentoring, and this feeds back into developing my process. Lastly, Cathy. What’s the most common obstacle you see writers face? It’s keeping faith in their writing and themselves and because I know this territory well in my own practice, I can use my own experience to inform the conversation. Haha – me too! Thanks so much for your time. Find out more about Cathy, or contact her via her website. Cathy Grindrod is an experienced Creative Writing facilitator, mentor and life coach. She is a former University of Nottingham Creative Writing Lecturer and was awarded an Honorary MLitt by Derby University in 2014 for her work to promote wellbeing through writing across Derbyshire communities. She runs The Writer Highway™ –a programme of writer support for people who love creative writing, wish to progress and want to give themselves and their writing more time and space. After 25 years as a successfully published and broadcast writer of poetry, plays and memoir, including a term as Derbyshire’s Poet Laureate, she has experienced all the joys and pitfalls of the writing life, and now enjoys sharing all she has discovered about writing and wellbeing with other writers. My son is home for Christmas from uni with a mountain of both coursework and laundry. Studying media, one of his assignments is to record a two minute piece of writing of his choosing and add any sound effects he thinks should accompany it. When we last spoke on the phone I knew he’d be doing this and he was on his way to get approval from his lecturer for the piece he wanted to record. What I didn’t know was that piece is the opening to my debut, ‘The Sister’. His lecturer thankfully said he felt right in the scene as he read it and that it is the perfect piece to record. I’ve written before about bringing the senses into prose when writing (you can read that here). Making the reader feel as though they are right there with the characters, feeling what they feel, seeing what they see, hearing what they hear. Sound is one of the most powerful senses, believed to be the last thing to go when we die. When I’m out with my dog I never listen to music or scroll through my mobile. Instead, I drink in my surroundings, taking note of where I am and I close my eyes. What can I hear that would place me in my scene? What is unique to it? What can I use in my stories? These are the things the reader needs to hear. Today, my son and I went to the park with his recording equipment to record the sounds that accompany ‘The Sister’. Although I believe I am mostly mindful, mostly attentive, I was stunned by the multitude of sounds I could pick out when I stood still and really allowed myself to listen. Layers of noise, all demanding attention from a chainsaw to bird song, kids playing, dogs barking, to the more subtle sounds, the wind against a leaf, the snapping of a twig under footfall in the distance. We’ve had a fabulous afternoon recording and have returned home with a memory card full of noises and I’ve a head full of inspiration. If you’re writing a story, take a minute to read it back. What sounds would you use if you could? Are you doing enough to set the scene? A reader who feels is a reader who will keep on turning the pagers. Stepping out of my car with heartbreak-heavy legs (car engine, car slowing, stopping, engine cut, car door slam), I zip my jacket (pulling on & zipping a coat) and pull on leather gloves (the stretch of leather gloves being pulled on) before (walking on a hard surface) hefting my spade and bag from the boot (unloading something heavy. A chink of metal): it is time. (footsteps on gravel) My wellingtons slip-slide (footsteps through mud) across the squelching mud to the gap in the hedge. It’s been there for as long as I can remember. I shiver as I enter the forest; it’s darker than I’d thought and I take deep breaths (breathing) of the pine-scented air to steady myself. I fight the urge to go home and come back in the morning, remind myself why I’m here and drive myself forwards. (Walking. Leaves. Snapping twigs). My smartphone lights the way as I look out for rabbit holes I might fall down. I take giant steps (larger strides) over fallen limbs of trees I’d once have hurdled. At twenty-five I’m not too old to run, but my load is cumbersome; besides, I’m in no rush to get there, I was never supposed to do this alone. I stop and rest the spade handle against my hip (spade sticking in the ground), splay my fingers and shake out my pins and needles. There’s a rustling in the bushes (leaves rustling) and I have a sense of being watched. My heart stutters (gasp) as two rabbits dart out, (louder rustling) bounding away when they see my light. ‘I’m OK,’ (voice) I reassure myself, but my voice seems loud and echoey, reminding me how alone I am. My rucksack feels tight across my shoulders and I readjust the straps (the sound of straps sliding) before marching on (more purposeful steps), snapping twigs underfoot (twigs). I’m beginning to think I’ve taken the wrong fork when I reach the clearing with the lightning-struck tree (stop footsteps. Breathing). I wasn’t sure it would still be here, but as I look around it seems nothing has changed – but of course, everything has. Memories of the last time I was here hit me so hard I feel winded. I sink to the ground. (Clothes crinkling as sitting. Dislodging leaves). The dampness of the leaves and earth seep through my trousers, as the past seeps through to my present.